Seeing the clouds begin to clear after getting hit with an enormous snowstorm last January, I decided to drive a few miles from my house to reach a vantage point of the lake. Highway 89 was closed further up, but I knew I could reach this point and have a clear view of the south shore. 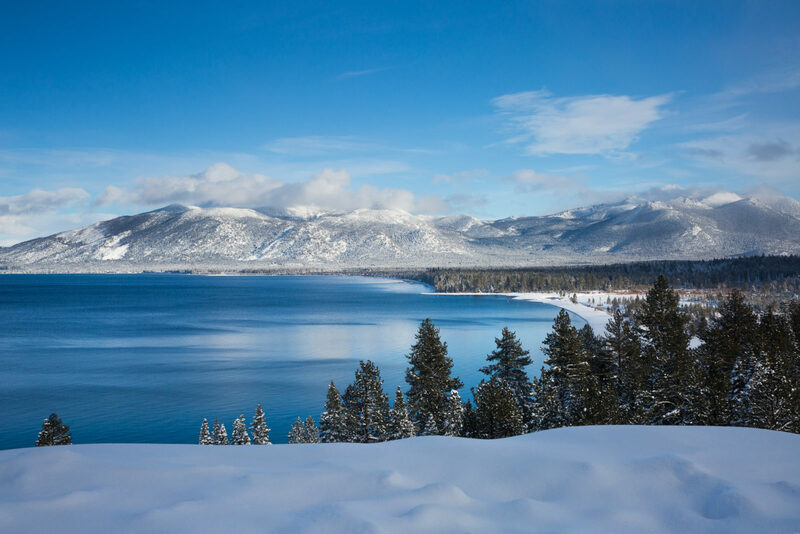 The snow was piled up high in the foreground and the sun was at just the right angle to bring out the blue in the lake.